Home Latest Roofing News & Offers What are the types of roof truss and what are the uses for each type? 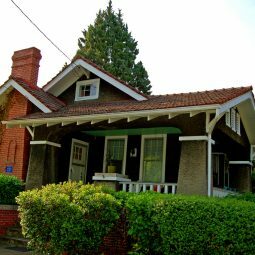 What are the types of roof truss and what are the uses for each type? A roof truss is a prefabricated structure designed to support a roof on a building. They come in two main types: flat and pitched. Those types can be broken down into more specific roof truss types that can suit all manner of construction projects. Typically triangular in shape, they are made off site and usually lifted into place before being secured. ‘Truss’ refers to the triangular construction of the structure. The structure will often include these triangle shapes in various configurations to fit the pitch, size or design of a roof. Triangles are very efficient shapes that allow finite control of load which is why they are used in construction. As they have to support the entire weight of a roof, they need to be strong and stable, which a triangle most definitely is. A roof truss is made up of a couple of different elements. The exterior frame members are called chords and the interior triangle structures are webs. These two elements can be manufactured in different shapes and sizes depending on the requirements of the job. 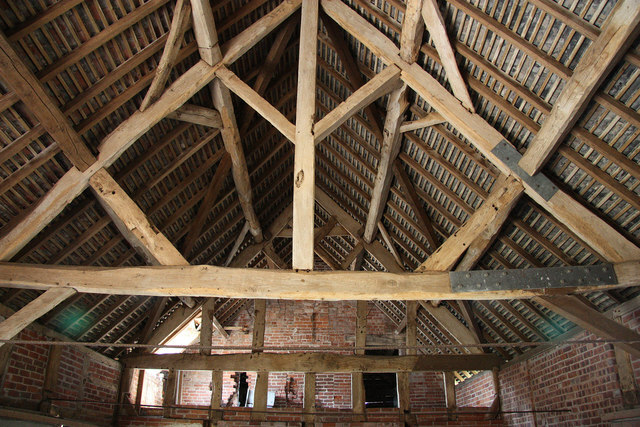 In roof trusses that have them, there is also the king post, a vertical support to help maintain structural integrity. A king post truss is typically used for short spans. 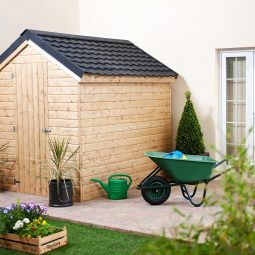 They are often used in extensions, garages, porches and outbuildings. Many old buildings boast open, visible king post trusses. 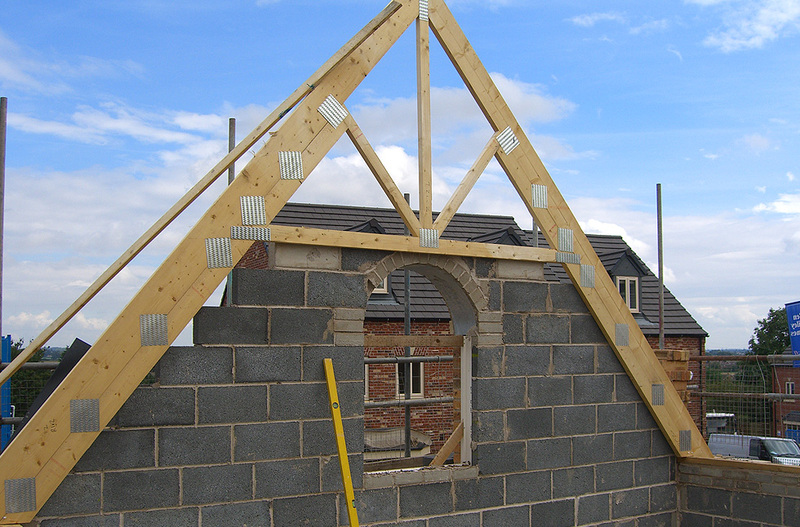 A queen post truss is typically a vertical upright with two triangles either side. These are not commonly used anymore as they have been succeeded by the Fink truss. A fink truss is a very common roof truss type with a ‘W’ shape between the chords. It is a very simple but efficient shape and can be used in all manner of projects. The double pitch profile truss is used to create different roof pitches, often in commercial buildings but in some homes too. A mono pitch truss has a single rafter and is a right angle truss used to form lean-to roofs or single pitched roofs. A scissor truss is also used to create vaulted ceilings or more interesting ceiling shapes. Raised tie trusses are used to create vaulted ceilings. The lower chord is raised to create a flatter profile for higher ceilings with angled edges. Some builders choose to make roof trusses will others choose to buy them pre-made to be delivered to site, usually on bigger jobs. Pre-made roof trusses can be manufactured in any shape or size to suit the design so for more complex roof designs, such as cantilevers, they’re a good option. They are much quicker to install than to make from scratch but there are many debates about whether labour cost or the cost of buying in trusses is more expensive than the other.